Dylan Shute sets to take the last shot of the game. (Newburyport MA) This one went right down to the last possession. 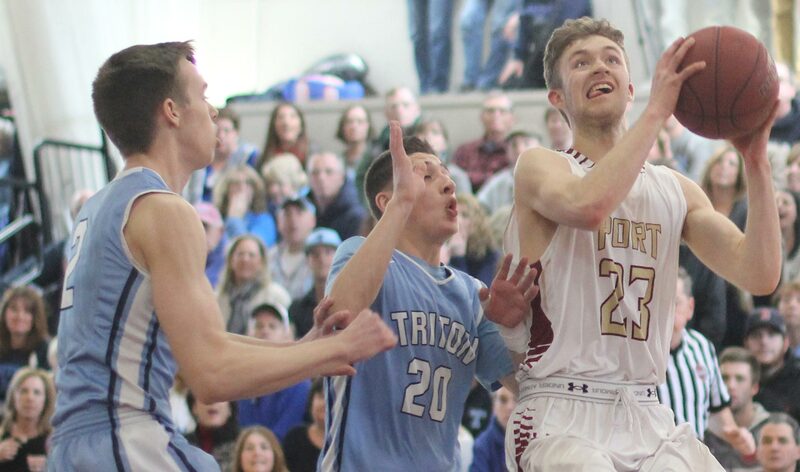 #2 Newburyport survived #7 Triton’s last-second shot attempt and won a D3 North quarterfinals game, 59-57, before a standing-room crowd that got their money’s worth on Saturday afternoon. 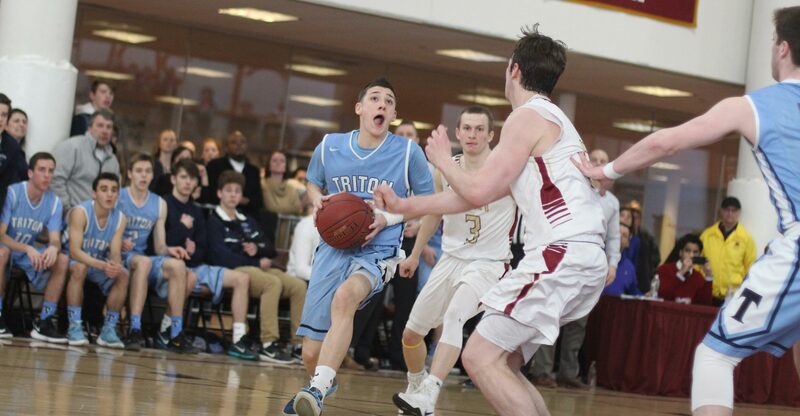 Triton (15-8) trailed by as many as eleven (34-23) early in the second half but rallied in the final quarter to lead by five (49-44), and later six (55-49), with 2 ½ minutes left in the game. 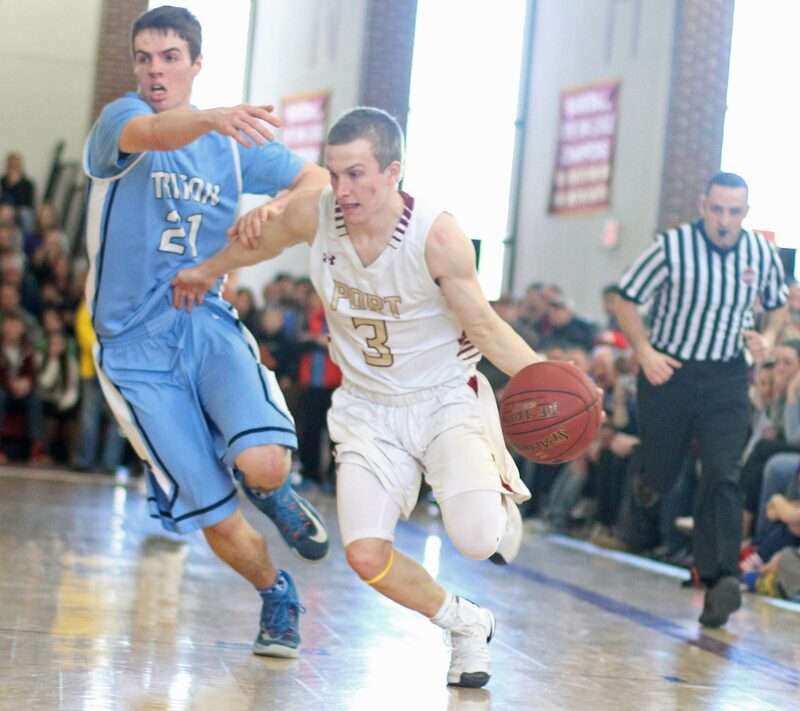 Newburyport (19-3) had two wins over Triton this season and turned things up at both ends to keep their season going. 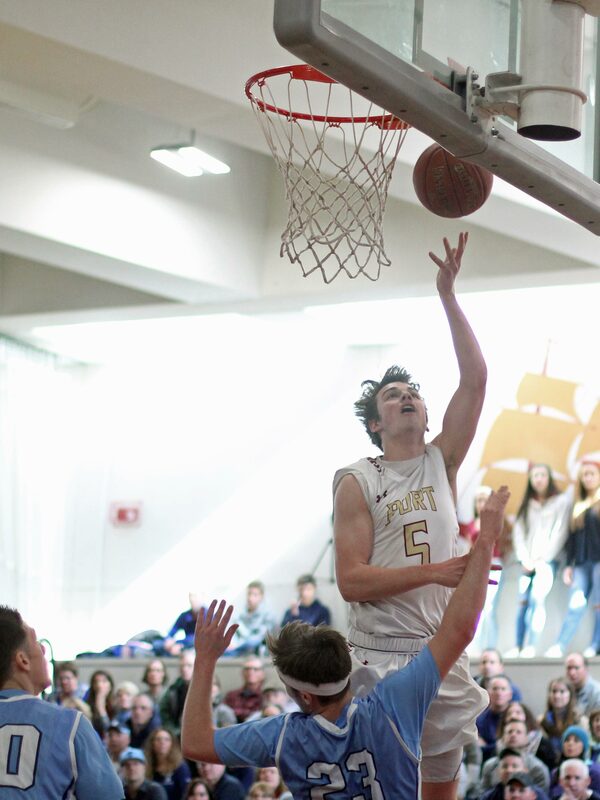 Casey McLaren (21 points) put up a personal run of points (two layups and a triple) to give the home team the lead, 56-55, while Triton missed a pair of shots and had a 10-second call go against them. 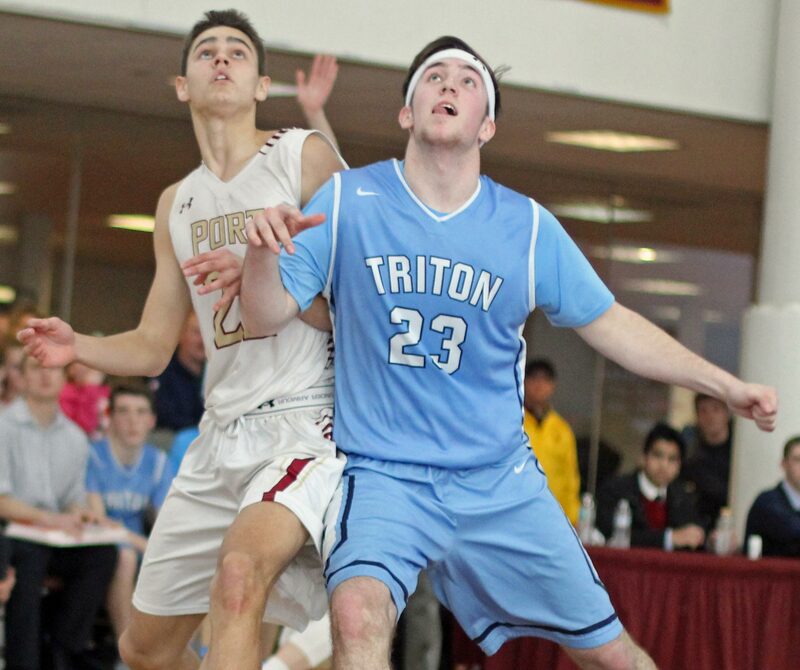 Triton’s Jack McCarthy (24 points) was sent to the line with 1:22 left and fearlessly canned both attempts to put Triton back on top by a point, 57-56. 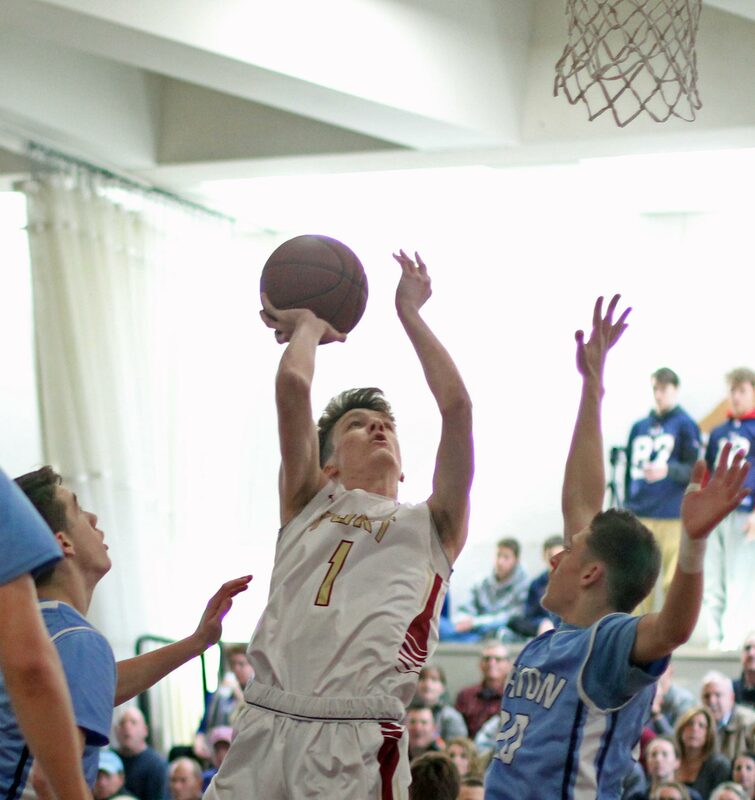 During Newburyport’s next possession, Robbie Shay made the pass of the game, from right to left, getting teammate Brendan Powers a layup with a minute left. That last minute that followed could well be a haunting memory for the Vikings. Triton had three chances for answering points. 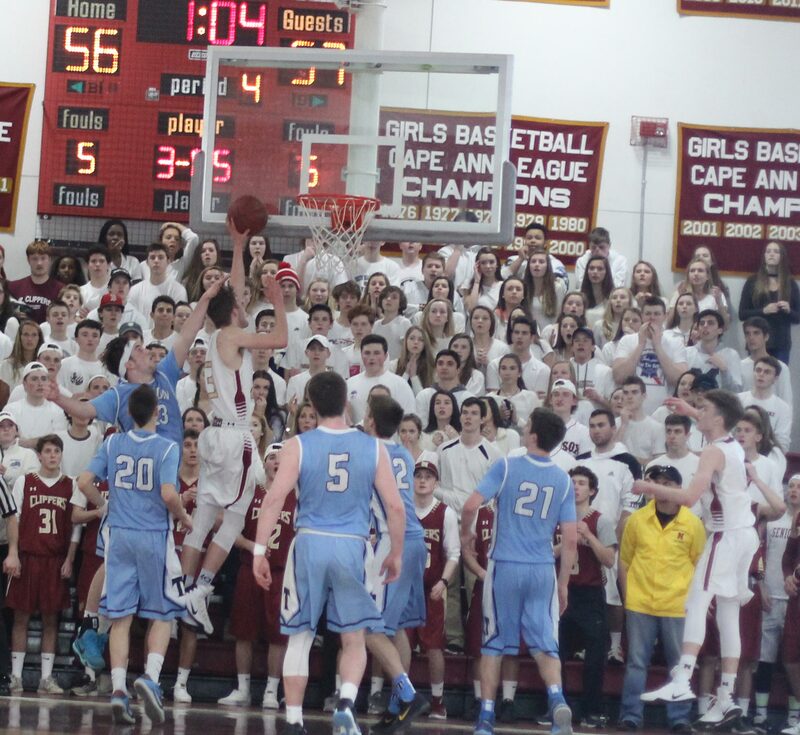 Twice the Vikings turned the ball over on bad passes before Casey McLaren made one-of-two free throws giving Newburyport a 2-point advantage. In Triton’s final possession, with seconds left, Dylan Shute who was probably the 4th option for the shot, was forced into taking it and missed as the game ended. Credit the Clippers’ defense on that final possession. 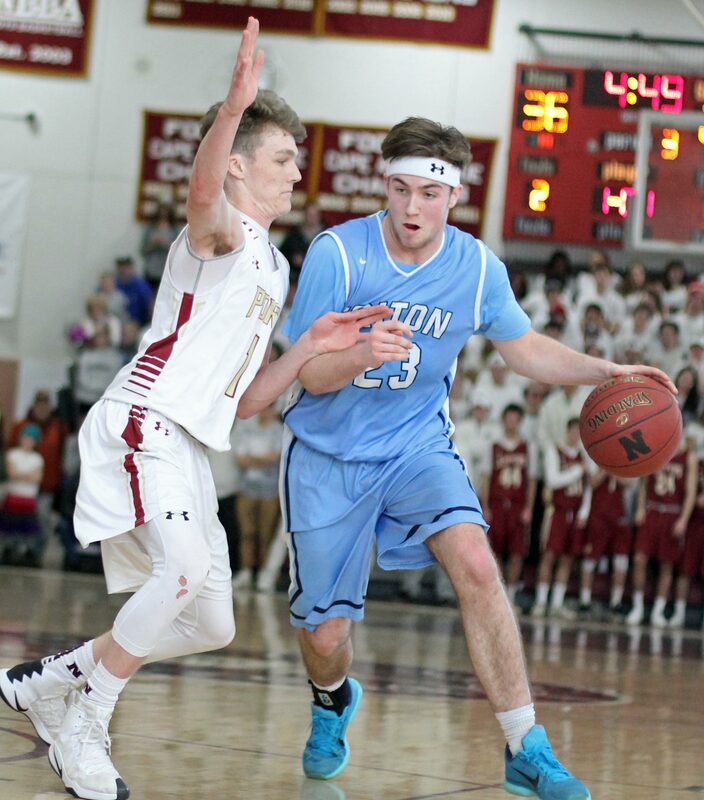 Anyone paying attention had to assume a game-on-the-line shot for Triton would come from Will Parsons (24 points) or Jack McCarthy (22 points). The NHS defense prevented it. 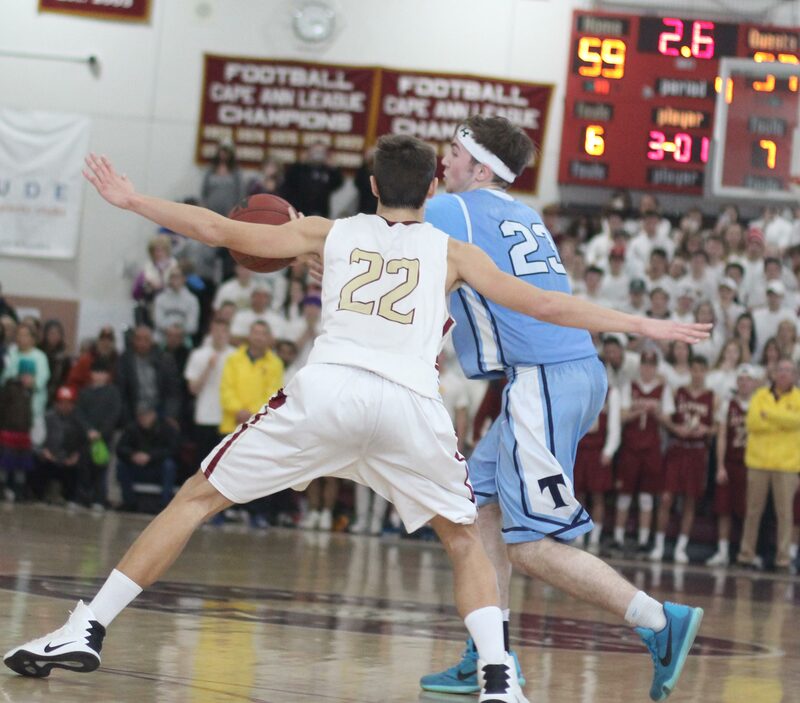 First Robbie Shay closed any lane Jack McCarthy, who had eight inside baskets, could take to the hoop. Then Casey McLaren got up close enough to Will Parsons so that the talented junior couldn’t launch a long one (he had already made five 3’s). 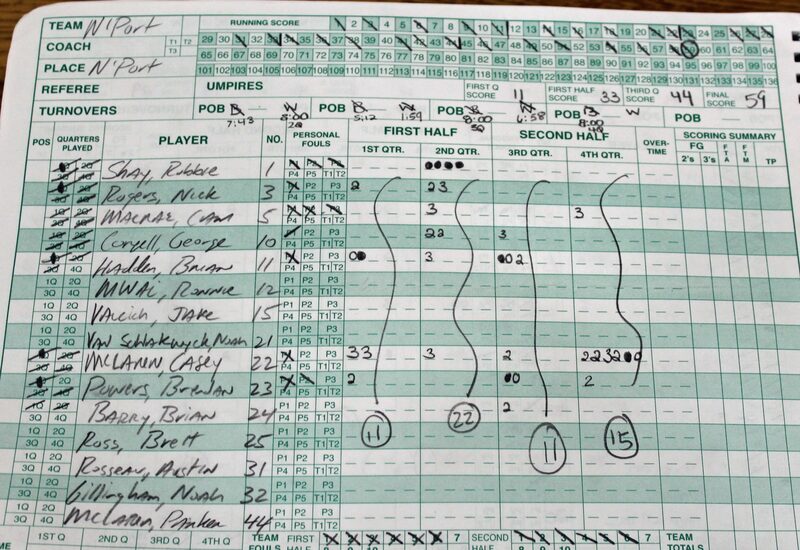 Because of the NHS defense, and short clock (eight seconds), Jack and Will ended up passing instead of shooting. Dylan Shute was forced into the last shot (runner on the baseline), with Cam MacRae defending, which rolled off the rim. The celebrating then began for the Clippers. They move on to the semi-finals against #6 Bedford during this coming week. 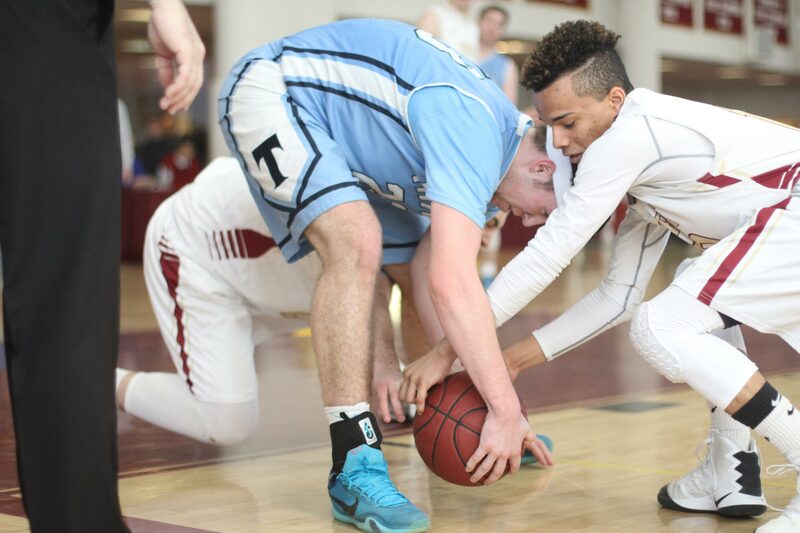 Triton absorbed the loss but certainly played very well in such a tense event. The game certainly started badly for the Vikings when their “spark” Liam Spillane picked up two fouls in the first minute and had a lengthy sit on the bench. 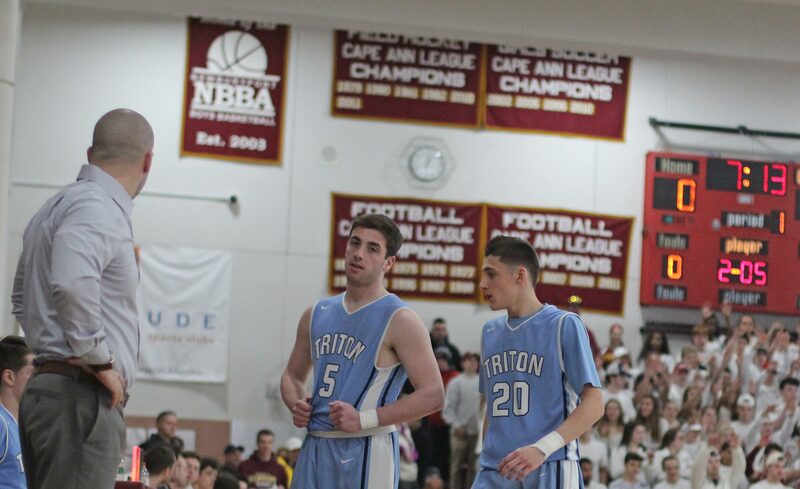 Jack McCarthy and Will Parsons had awesome games and proved more than capable of carrying the scoring load. The Clippers had eight different players put up points. In a 2-point win every basket was crucial. Big afternoon for sophomore Casey McLaren. He clearly has both-ends-of-the-court skills. Casey made shots inside and out and was a tireless defender. He was the prime defender on Will Parsons and kept him scoreless over the last 5 ½ minutes. 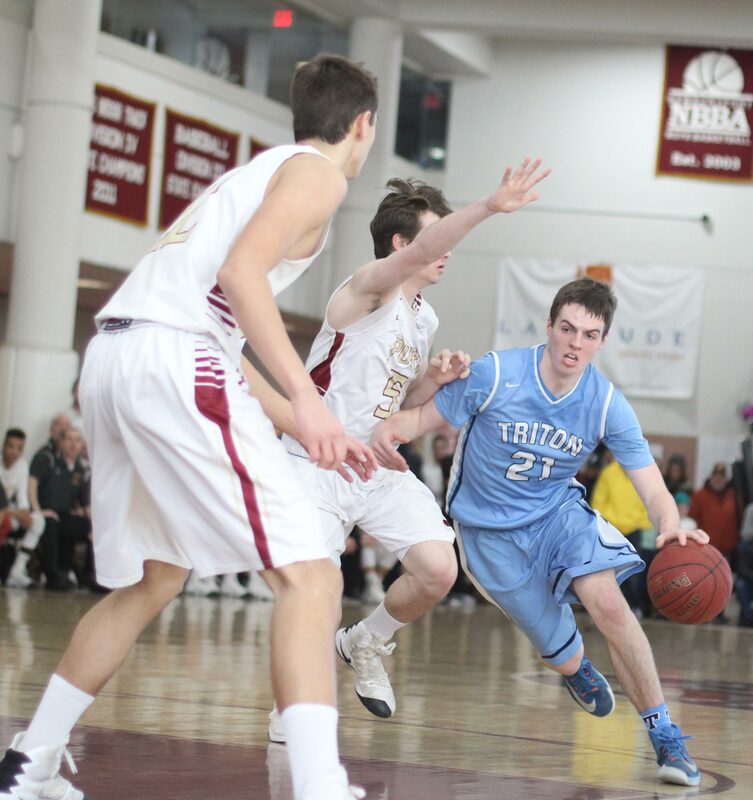 I kept waiting for junior Colin Brennan to catch fire for Triton. In the games I’ve seen, there have been times when the sharp-shooter has nailed consecutive 3-pointers. Not today. 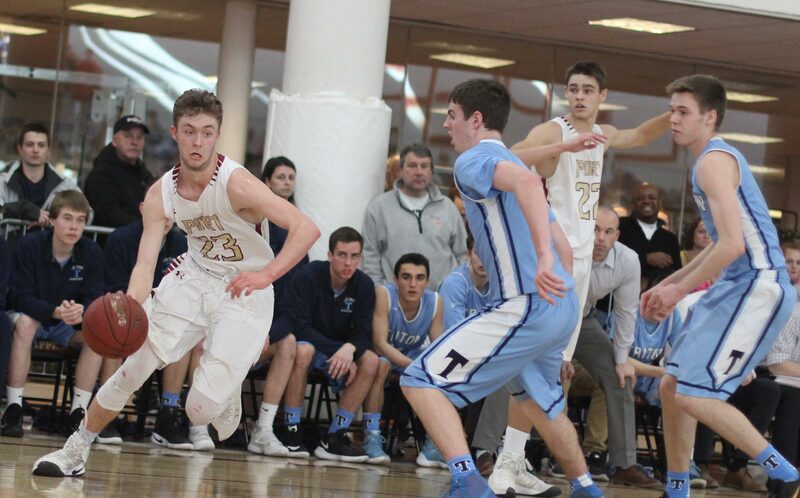 Sophomore Jack Tummino handled the ball nicely for Triton off the Vikings bench. This game had its share of scoring streaks. Newburyport put nine straight together to go from a 13-9 deficit to an 18-13 lead with 6 ½ minutes left in the second half. 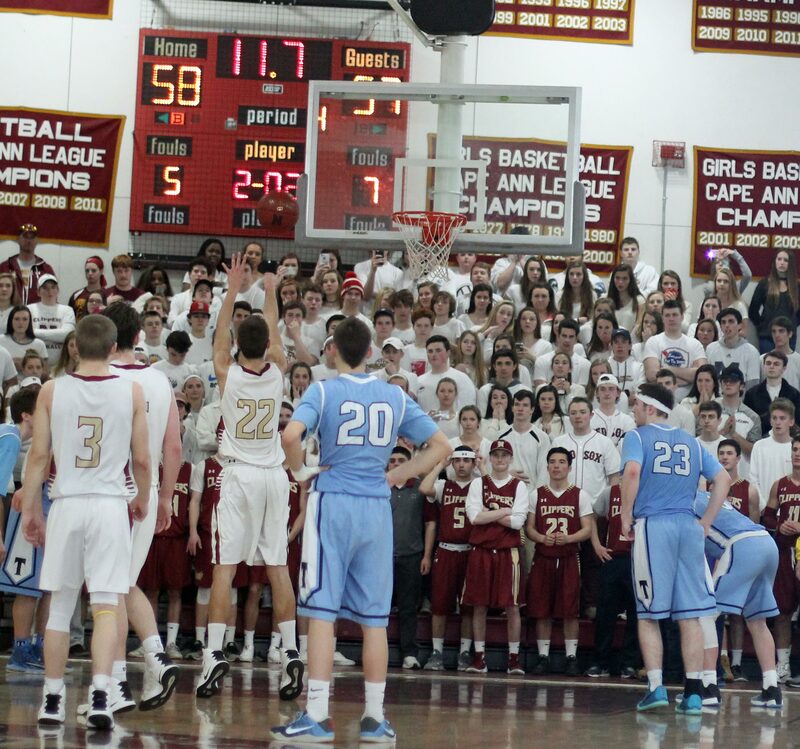 Later Newburyport put eight straight together to increase a 26-23 lead to 34-23 early in the second half. The Vikings ran eleven unanswered points together turning a 44-38 deficit to a 49-44 advantage with 5:25 left in the game. 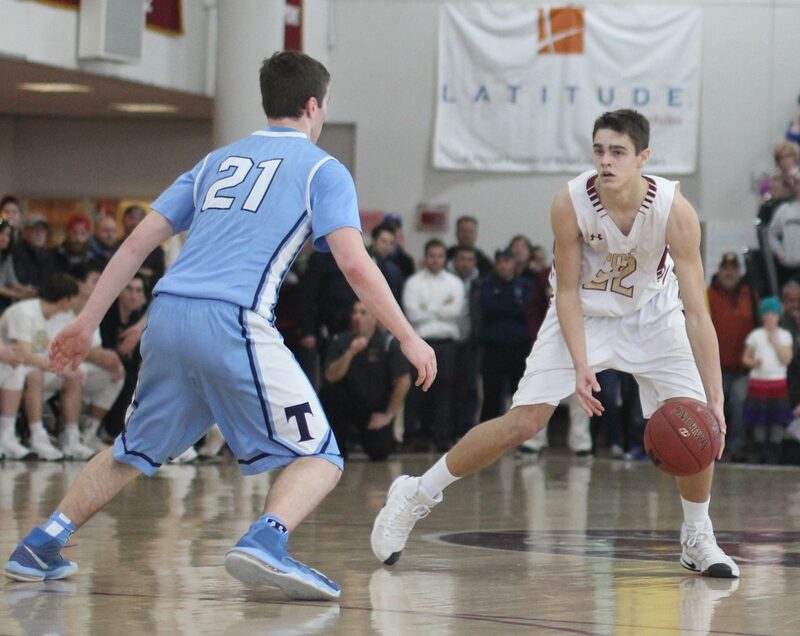 Newburyport followed with a run of five and Triton answered with a run of six: 55-49 with 2 ½ minutes left in the last quarter. 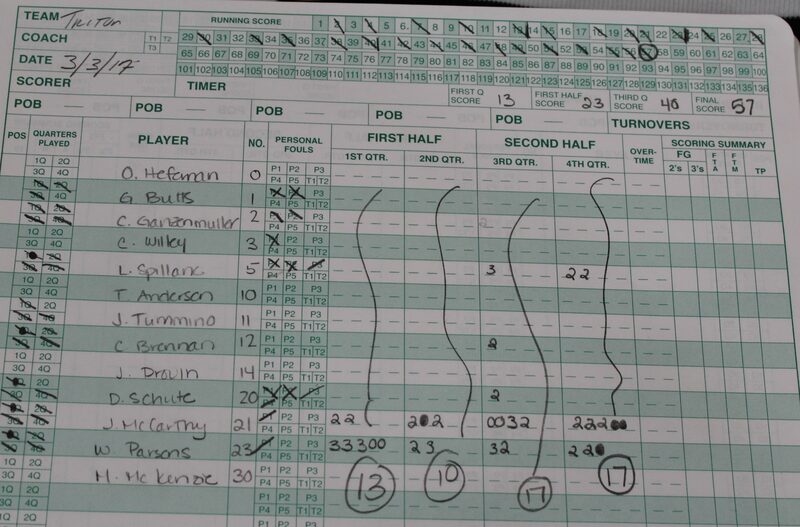 Casey McLaren followed with his killer collection of seven in a row in the next minute to give the Clippers the lead. As I said earlier, there was plenty for both teams/fans to get excited about. The Newburyport/Triton staffs was on hand to make sure things went well and things did go well.